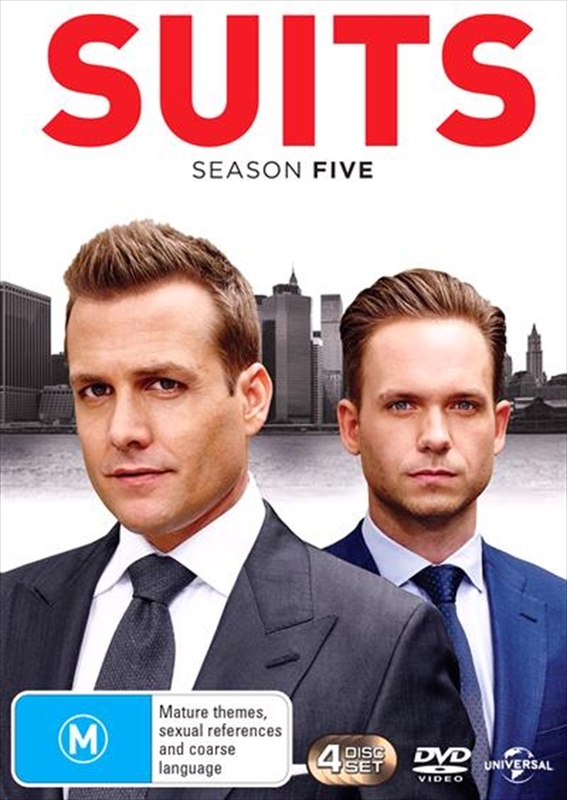 Suits Season 5 DVD - On Sale Now With Fast Shipping! The season begins with Mike working for investment banker Jonathan Sidwell, creating an awkward situation when a takeover battle for Gillis Industries pits Mike's company against Pearson Specter client (and Rachel's former boyfriend), Logan Sanders. This leads to a battle between Mike and Harvey and a collusion claim between the two by the SEC. Mike and Rachel are at odds due to a moment of passion between her and Logan Sanders, causing Mike to move out for a short period.